Collision of adjacent buildings during earthquake is generally called pounding. This is occurred when they have different dynamic properties and there have not sufficient or no separation distance from adjacent one. The damage due to pounding may be of local and global; local damage is associated with collision force but global damage of buildings depends on their dynamic properties at the time of taking place of collision. 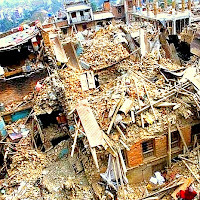 Global damages caused by transfer of energy and momentum between two system generated by collision. • Insufficient energy dissipation system, if any, to restrain movement within allowable separation distance. 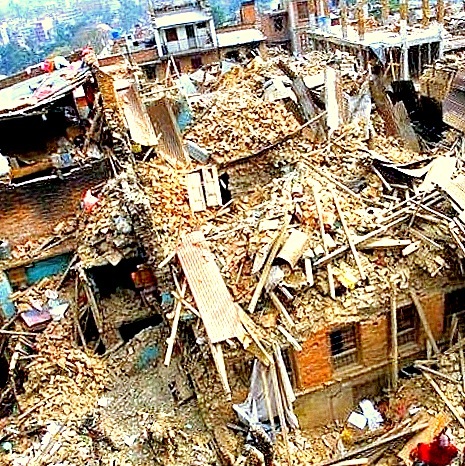 Why is pounding of buildings concerned? Past building codes didn’t provide definite recommendation or guidelines to account pounding effect and to counteract this phenomenon. As a result in many densely populated areas to achieve maximum land usage and for economic consideration, many buildings over the world already built extremely close to neighbor and in some region even no space is left. These building are vulnerable to pounding damage during future seismic activity. A large separation distance is not expected from both technical point of view within same facility having large expansion joints and economical point of view considering loss of land. 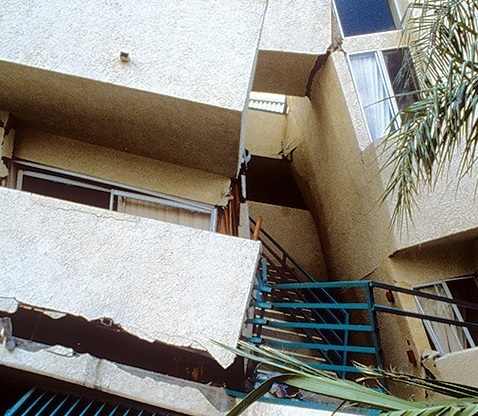 In many cities the highly congested structures become a major concern for pounding damage. This is why, it is now widely accepted that this unexpected phenomenon has to be mitigated or prevented (Abdel Raheem, 2006). The distance provided between two adjacent building structures is called separation joint; often same facility is divided into two wings and sometime more depending on dimension of buildings. This permits an independent movement of structures relative to each other. A seismic gap is nothing but a separation joint kept to provide room for relative lateral movement due to seismic agitation. Considering functional continuity, building utilities have to be extended from one wing to other across the building separation and finishing is provided for architectural termination on either portion. This separation joint for older buildings may be only one or two inches. 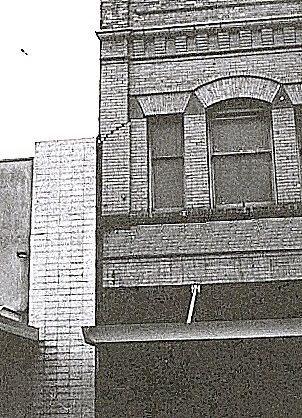 For newer buildings these separation may be as much as one foot based on desired horizontal movement or seismic drift. All details about flashing, piping, HVAC ducts, fire sprinkler facility, flooring and partitions have to be done to permit two wings to move to expected distance at these locations when two structure or separated wings more closer to each other or move apart during earthquake. 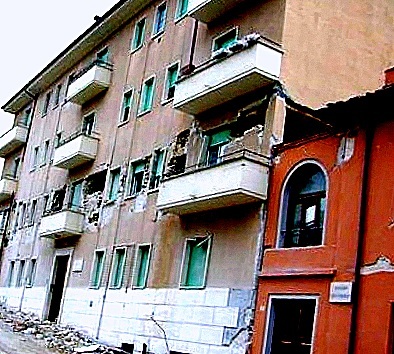 Damage of such non-structural elements across seismic gaps is very common. When these gap is inadequate, pounding between buildings may cause damage to structural elements of these buildings. Many events of seismic pounding have been recorded to date. 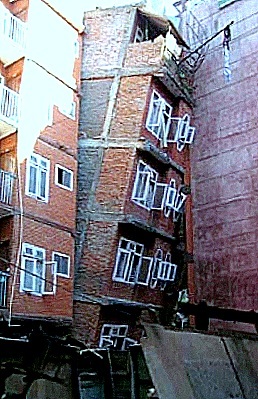 Pounding event has resulted worse damage and many cases of collapse of entire building. 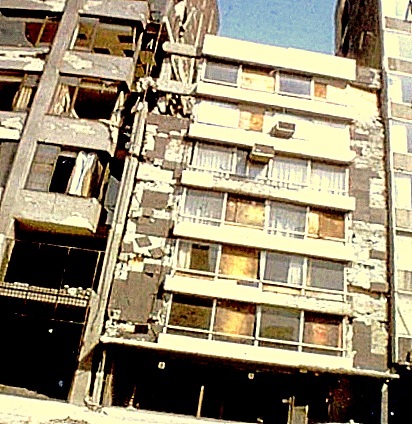 The earthquake that rocked Mexico City (1985) has disclosed (Rosenblueth and Meli, 1986) that pounding damage was present in more than 40% of total severely damaged or collapsed building out of 330 buildings surveyed and 15% of that resulted collapse. 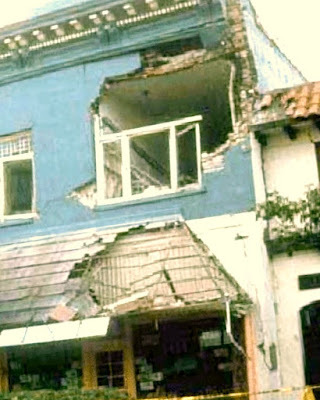 This earthquake left behind lesson about significance of pounding by leaving maximum number of building damage till that date (Bertero, 1986). • TYPE-3, building functionality is lost as important electrical,mechanical or fire protection systems become out of order. • TYPE-4, this involves architectural and/or trivial structural damage; examples of each type will be discussed in pounding survey section. What are the pounding vulnerable structures? • Modern buildings are well designed for seismic safety, but often may subjected to wrong architectural details which generally includes building separation is filled with rigid architectural flashings (Cole and Takewaki, 2011). 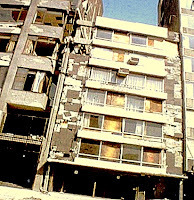 • Condition becomes worse when adjacent buildings have dissimilar dynamic characteristics and vibrate out of phase during earthquake and sufficient separation is not provided. • Or insufficient energy dissipation system to restrict building to move within designed gap between adjacent facilities. Why are URM buildings most vulnerable to pounding? Special attention to unreinforced masonry (URM) buildings is required as pounding damage of such buildings found sufficiently frequently and a common damage pattern is outlined from experiences in Christchurch earthquake (2011). The cracking pattern was found The cracking pattern was found to extend through masonry walls typically from topmost point of contact of two building to lintel or window arch whatever found nearer in either building. Then cracks often extend from window opening and reached up to top of parapets of buildings. But parapets damage were not generally linked to effect of pounding. URM building not having ductile steel skeleton is susceptible to pounding damage. Ambient environment around hydration process like air content in the concrete and temperature. As water/cement ratio is not sole factor to control strength of concrete, it is more accurate to relate strength with the distribution and concentration of solid materials produced from hydration of cement in the available space for these materials. Power (1946) has first determined the relation between development of strength and gel/space ratio of mortar has shown in following figure. 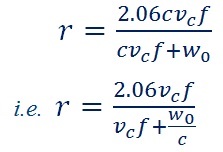 From the figure, it is noticed that strength has approximate proportionality with cube of gel/space ratio and he figured out that 234 Mpa was the inherent strength of gel for that type of cement and specimen examined at that time. 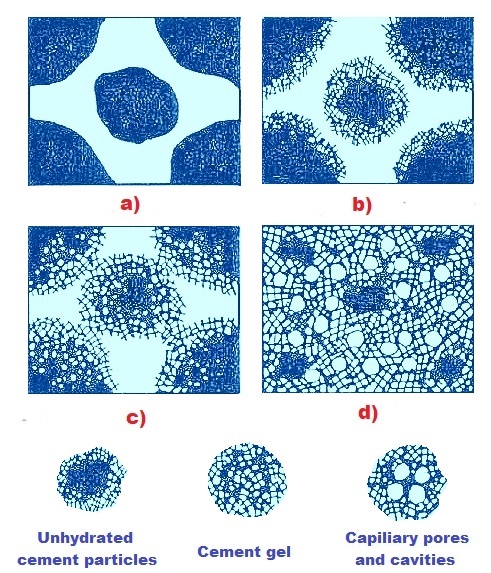 For usual Portland cement we used in our construction works, the numerical vales were found more or less same; some exceptions are observed for cements having higher C3A content as they yield lower strength at a particular gel/space ratio. Why specific gravity of adsorbed water is 1.1?